During my second pregnancy, with my daughter, I experienced all the normal symptoms of morning sickness and fatigue. Never in a million years would I have guessed that a part of her wasn’t developing correctly. Brylan was born at 12:13pm on Christmas Day. She was tiny, perfect, and in my eyes, a healthy, happy baby. But when Brylan was about a month old, her pediatrician noticed that her left foot looked swollen. I was faced with two choices, wait and see what happens or listen to my “mommy instincts” that were screaming at me to be proactive. I went with my instincts. After seeing several doctors and running countless tests, we were still left without answers. I felt defeated, but I knew that I had to continue to advocate for my daughter. As Brylan’s swelling continued to get worse, my own research landed us 2,600 miles away from home at Boston Children’s Hospital. 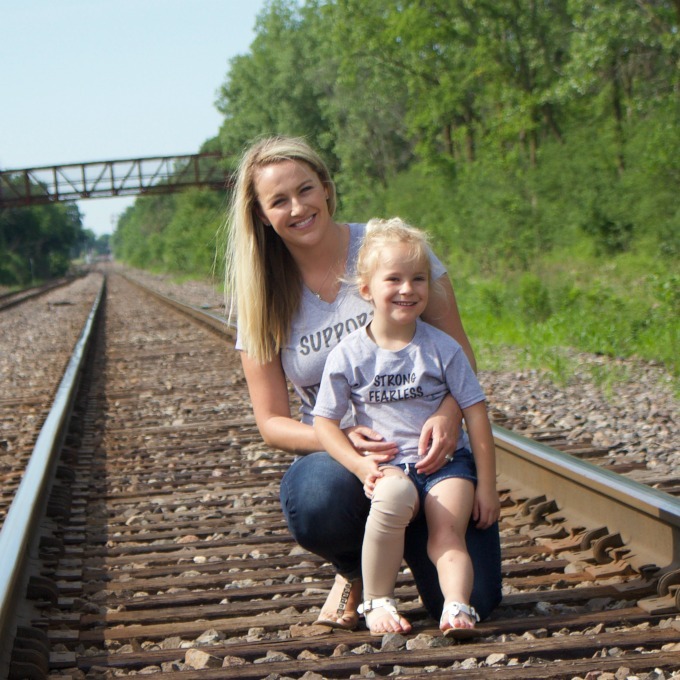 After what seemed like the 100th test and a physical exam, Brylan was diagnosed with Infant-Onset Primary Lymphedema in both feet and legs. My daughter has lympha-what? My husband and I had never heard the word Lymphedema and soon found out that not many people had. There is a huge lack of awareness and lack of education on this painful disease. Which is crazy to me because Lymphedema affects more Americans than AIDS, Parkinson’s, MS, muscular dystrophy, and ALS combined. Lymphedema is the chronic swelling in parts of the body where the lymphatic system isn’t working properly. There are two types of Lymphedema, Primary and Secondary. Primary Lymphedema is due to abnormal development of the lymphatic system. Secondary Lymphedema occurs when there is damage/trauma to the lymphatic system, such as cancer treatment. The lymphatic system is crucial to keeping our body healthy and fighting infection. Although there is currently no cure for Lymphedema, it can be managed through customized compression garments and wraps, physical therapy, compression pumps, and surgery for severe cases. Children who do not receive treatment are more prone to secondary/life threatening infections, psychological issues, orthopedic problems, and eventual disability. All of this information was scary, but I was ready to help my daughter in any way that I could. What I wasn’t prepared for was the uphill battle with our insurance company and high treatment costs. Lymphedema is an emotionally, physically, and financially burdening disease. Most medical insurers do not cover treatment, or they cover very little. My daughter was continuously denied, and I was once told that it is hard for the insurance company to cover medical treatment for a cosmetic issue. How is Lymphedema a cosmetic issue when it negatively affects the function of her immune system? Although Brylan’s Lymphedema shows as a mild to moderate case, in the past 3 years, my husband and I have easily spent over $20,000 on doctor’s visits and noninvasive treatments. We are fortunate to be able to provide for our daughter and lucky to be on the low end of costs for Lymphedema. But this is rarely the case for so many families. 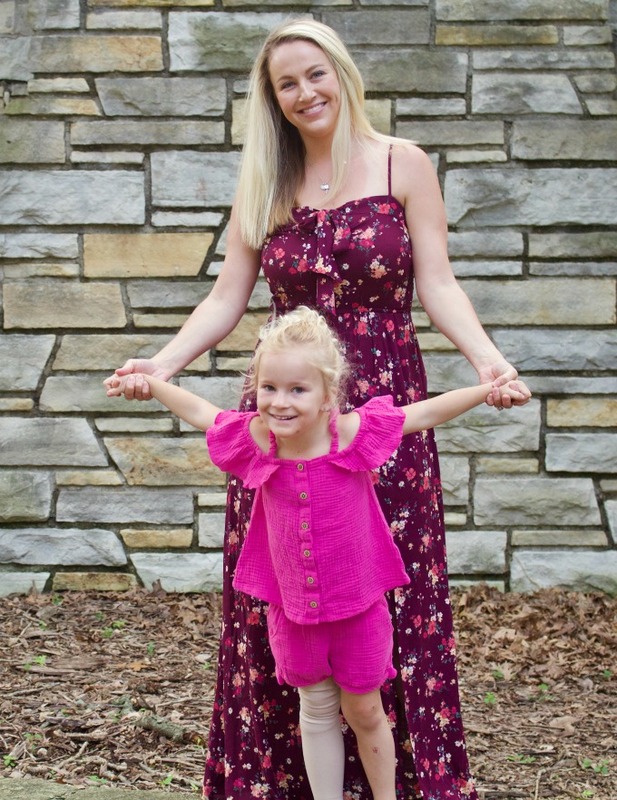 Can you imagine the frustration and heartbreak of a family with a child diagnosed with Lymphedema and not having the financial resources to acquire treatment? It is because of my personal experience with the high costs associated with Lymphedema and hearing the struggles of other families, that I started Brylan’s Feat Foundation. Brylan’s Feat Foundation is a non-profit that serves as a resource for children in financial need to receive treatment for their Lymphedema. It is because of the thoughtful and generous contributions of others that I am allowed the opportunity to touch the lives of pediatric Lymphedema patients, raise awareness, and aid in finding a cure. I never thought I would be a stay at home mom of three while running a charity in honor of my daughter, but here I am, crushing it! What a well written and enlightening article. I too had never heard of Lymphedema and was surprised at how many children are affected by it and how little awareness there is. Thank you Brittany for shining the spotlight on Lymphedema. Because of your article one more person is aware. And your warrior t shirt has now become a topic of conversation every time I wear it!